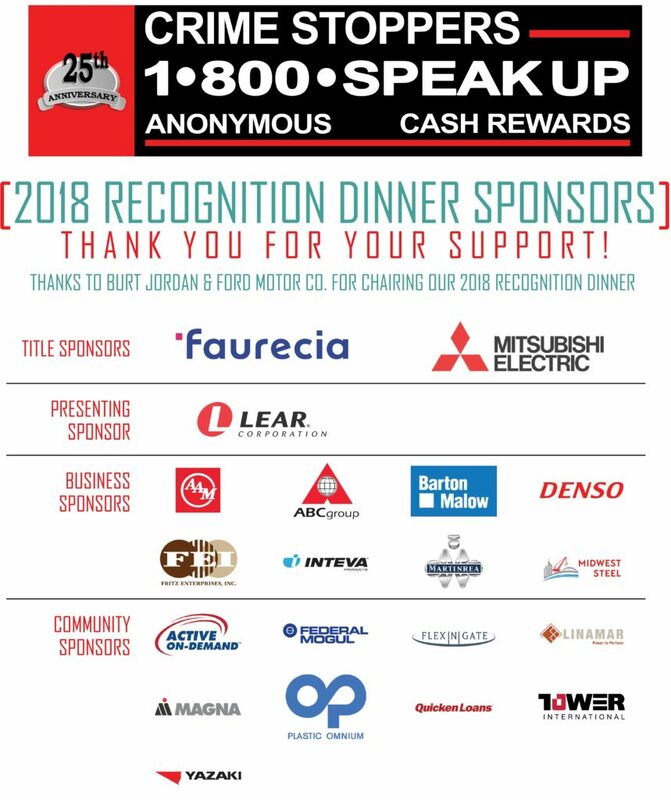 Ford Motor Company hosted the 2018 Crime Stoppers of Michigan’s Annual Recognition Dinner. 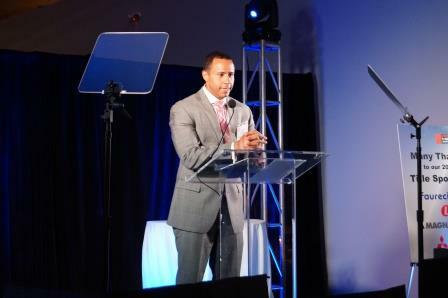 It was an exceptional evening for a worthy cause that included celebrating Crime Stoppers of Michigan 25th anniversary. 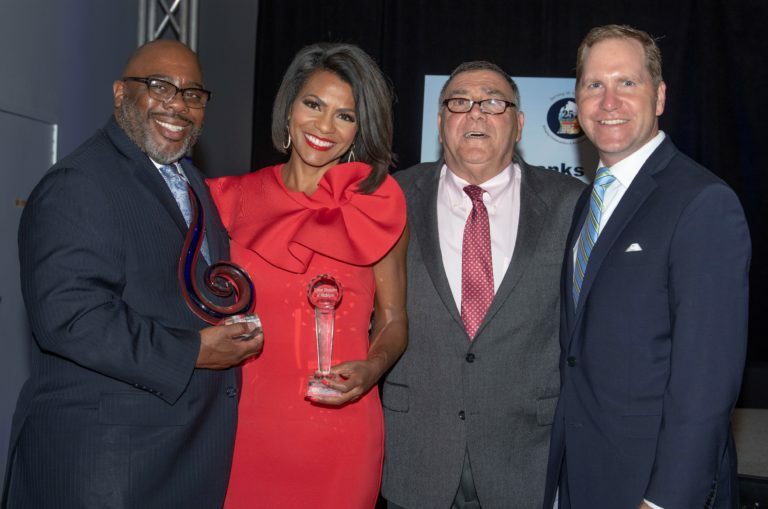 A special thanks to Burt Jordan, Vice President of Global Vehicle and Powertrain Purchasing & Supplier Diversity for being the chairman of this year’s event, to Rhonda Walker of Channel 4 News for being Master of Ceremonies, and Matthew Schneider, United States Attorney for the Eastern District of Michigan for being the Keynote Speaker. 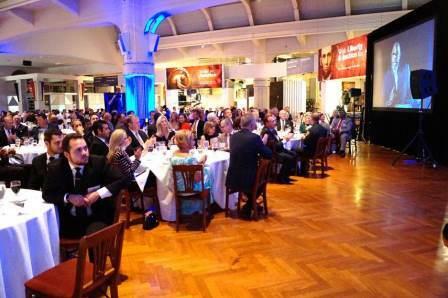 The event was held on Tuesday, October 2nd at the Henry Ford Museum of American Innovation. 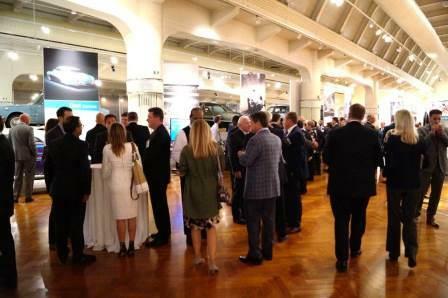 Attendees had the opportunity throughout the event to network in this most inspiring setting! 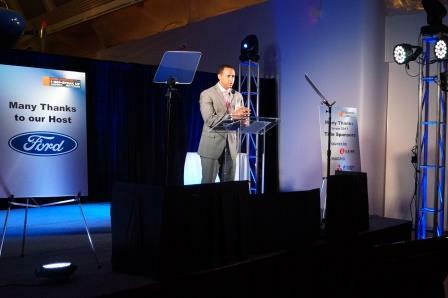 A VIP reception was held for Business, Presenting, Presenting Plus and Title sponsors. 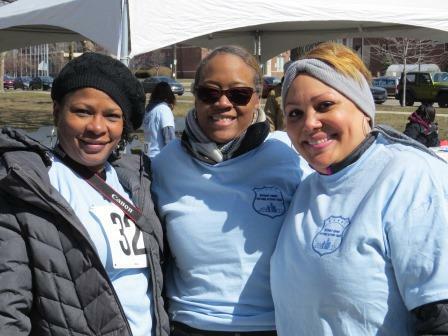 All of our efforts toward safer neighborhoods within our seven-county service area would not be possible without the generous support of our Sponsors, Law Enforcement Partners, Corporate Friends of Crime Stoppers and Individual Supporters. We cannot thank them enough for being such an important part of what we do. 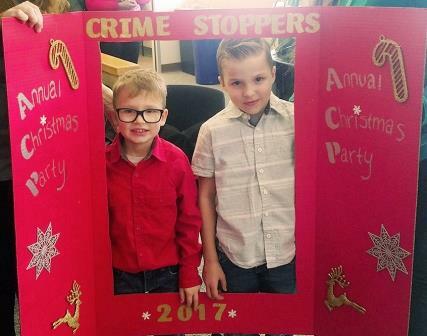 The financial support enables Crime Stoppers to continue expanding the reach of the community outreach programs, empowering residents, strengthening communities, and sharing critical information with the Law Enforcement partners to solve criminal cases. 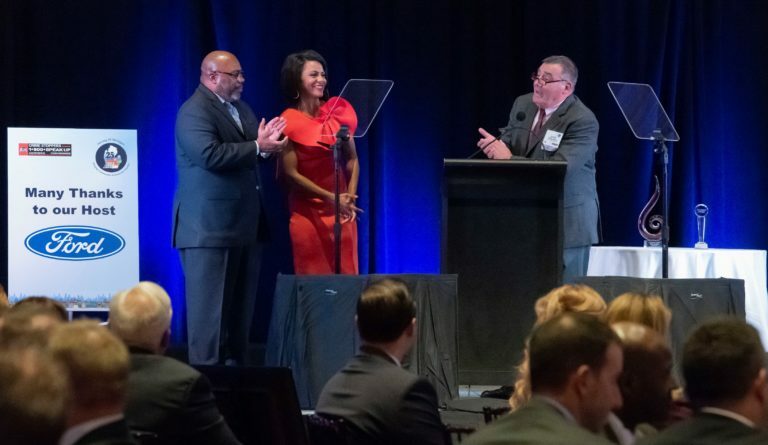 We are happy to announce that thanks to our sponsors we raised $483,000 that will be used to support the Crime Stoppers of Michigan mission of empowering people to make their neighborhoods, schools, churches and businesses safer. 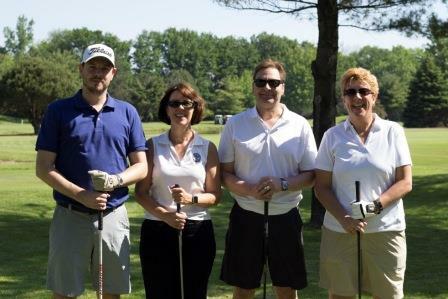 On Monday, June 04, 2018 at Boulder Pointe Golf Club in Oxford, Michigan. 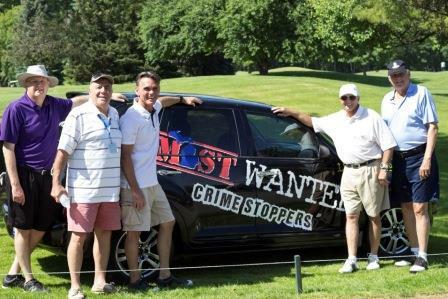 Crime Stoppers of Michigan held it’s second annual golf outing. 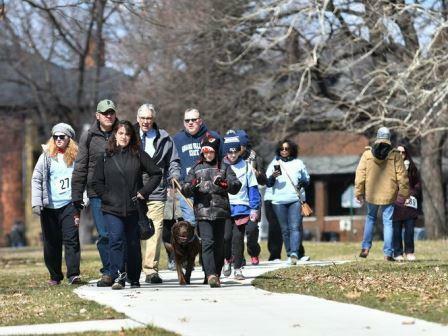 It was a little chilly all afternoon but that did not stop any of our participants and since its Michigan it figures it heated up once the outing ended. 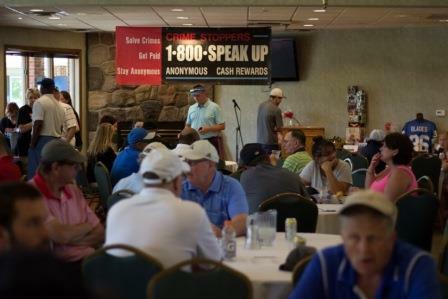 We had a total of 181 players registered for this outing which enabled us to utilize all three of the courses that Boulder Pointe has to offer. 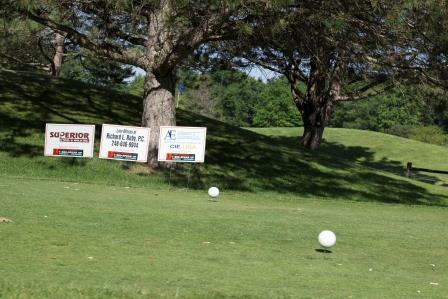 Thanks to the hole sponsorship’s we were able to place signs around the various courses. 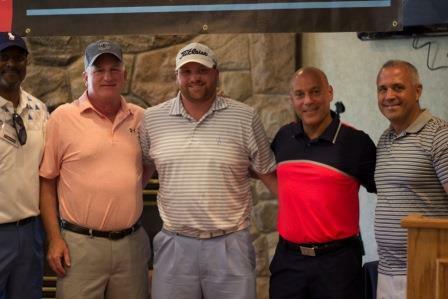 We had 2 casino holes and we awarded 1st, 2nd and 3rd place prizes as well as longest drive and closet to the pin for both men and women. 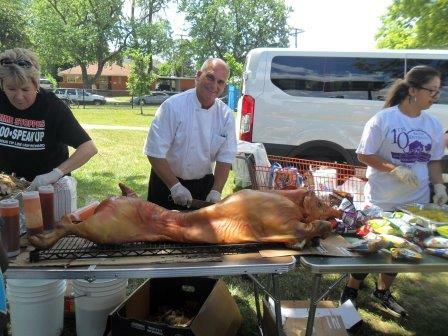 Our golfers were treated to a continental breakfast; lunch was served at the turn and a dinner buffet after wards. 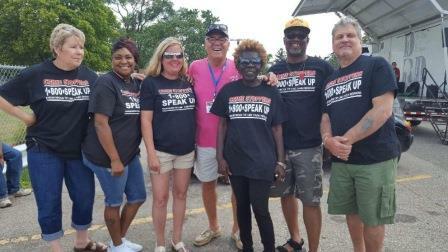 Thank You Macomb County Sheriff, Anthony Wickersham for agreeing to be our Event Chairman for the 2nd year in a row. 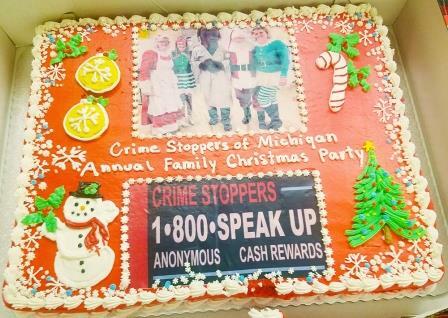 The Macomb County Sheriffs have been a very loyal supporter of Crime Stoppers of Michigan since 2009. 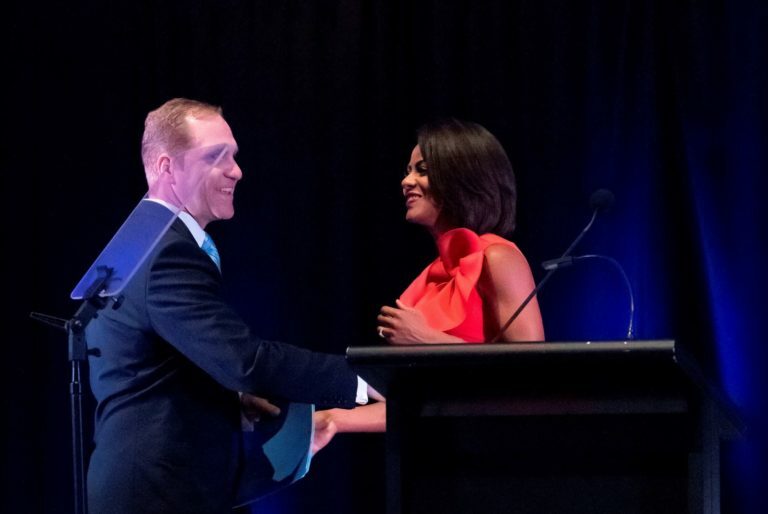 Anthony has been on our board of directors since 2014. 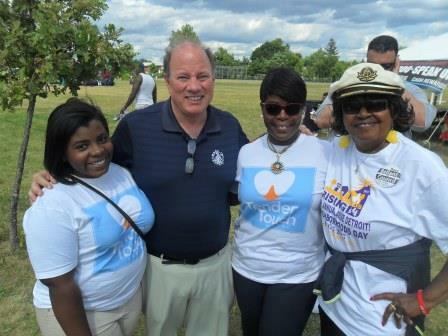 Thank you, Sheriff Anthony Wickersham for all your hard work and dedication. 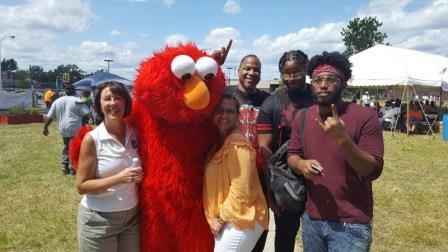 We Appreciate You!! 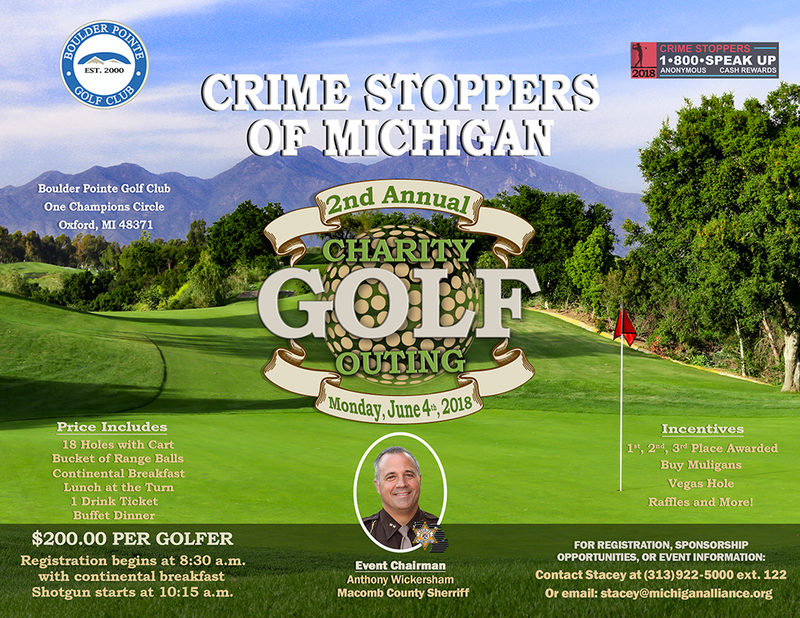 Crime Stoppers of Michigan would like to say Thank You to the Event Sponsors along with all the Businesses and Individuals that either sponsored a hole or made a contribution and /or participated. 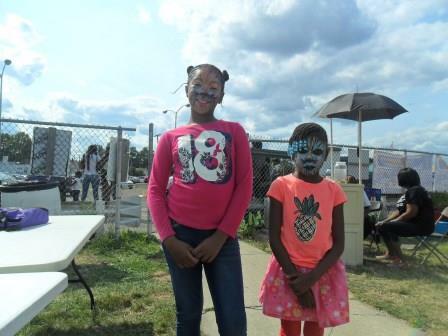 Together with your help we can continue building safer and stronger communities. 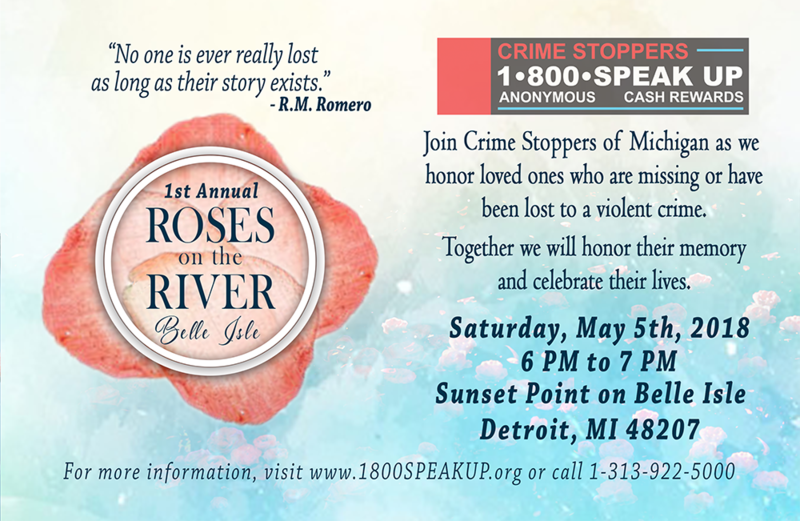 The Crime Stoppers of Michigan First Annual ‘Roses On the River’ event at Sunset Pointe on Belle Isle was a great success. 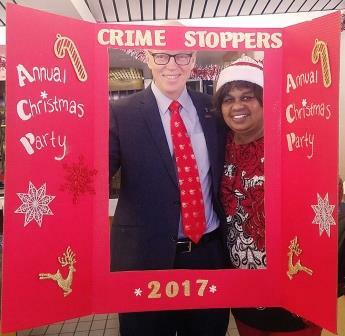 The event demonstrated the important role of Crime Stoppers in galvanizing community engagement, corporate sponsorship and law enforcement commitment to combat crime. 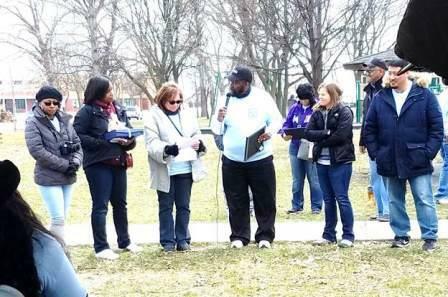 This event emphasized the mission of the faith based program of Crime Stoppers to minister healing to those who have been victimized. 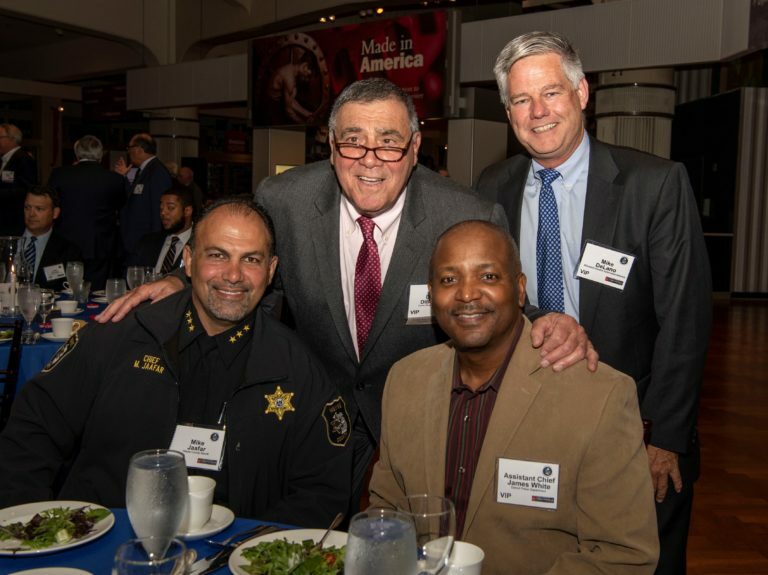 Joining Crime Stoppers President, Dan DiBardino, in celebrating 25 years of Crime Stoppers of Michigan serving this region was Detroit Police Chief James Craig, CEASE Fire Detroit Faith Based Director Bishop Daryl Harris and Pastor Barry Randolph of Church of the Messiah. 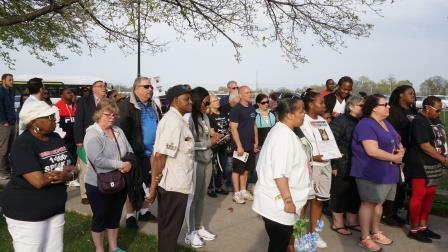 Prayers were offered by several members of the clergy including Rabbi Dorit Edut of the Detroit Interfaith Outreach Network and Rev. 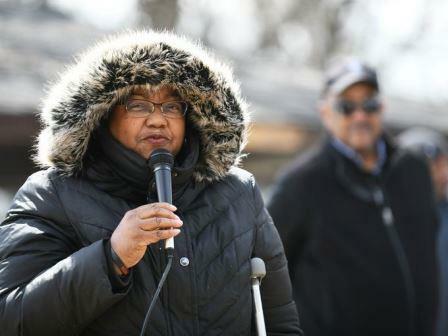 Dr. Genetta Hatcher, Vice President of Ecumenical Theological Seminary who also delivered an inspiring homily. 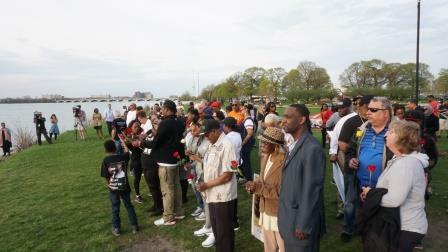 Paris “AFreeMynd” Jones, a spoken word artist, wrote and performed an original piece for the event, called appropriately ‘Roses On the River.’ Scrolled copies of the poem were given to family members as they departed from the island. All of this was undergirded by the melodious, soul-wrenching sound of a cappella music from the Larry Callahan and Selected of God. 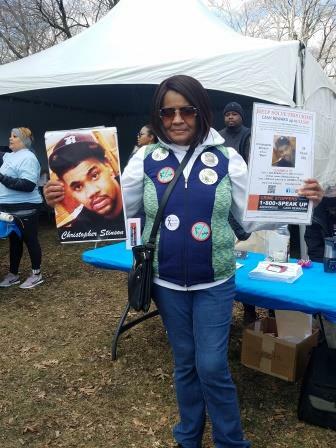 In commemoration of National Crime Victims’ Rights Week (NCVRW), April 8 – 14, 2018, the Detroit Crime Victims Action Team, made up of Victim Advocates and Victim Specialists from Bureau of Alcohol, Tobacco and Firearms, Crime Stoppers of Michigan [Project Good Samaritan], Department of Homeland Security, Drug Enforcement Administration, Federal Bureau of Investigation, United States Attorney’s Office, United States Postal Inspection Service, and Wayne County Prosecutor’s Office, held a Crime Victims Awareness Walk. 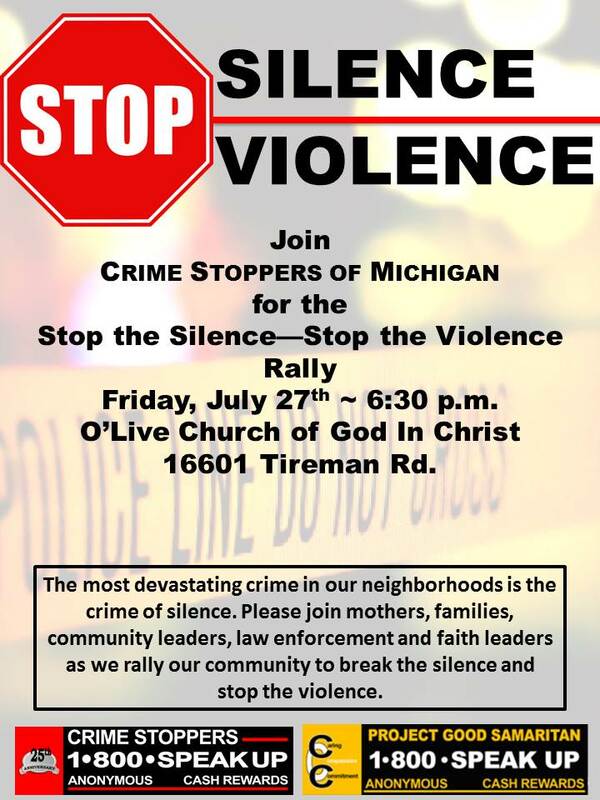 This event was sponsored by Crime Stoppers of Michigan. 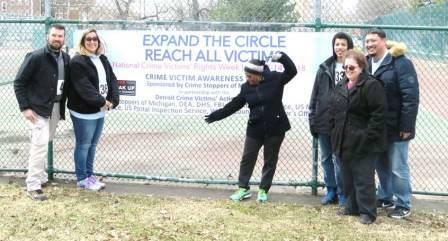 This year’s theme was Expand the Circle: Reach All Victims, that highlighted how the investment of communities in crime victims expands the opportunity for victims to disclose their victimization, connect with services, and receive the support they need. 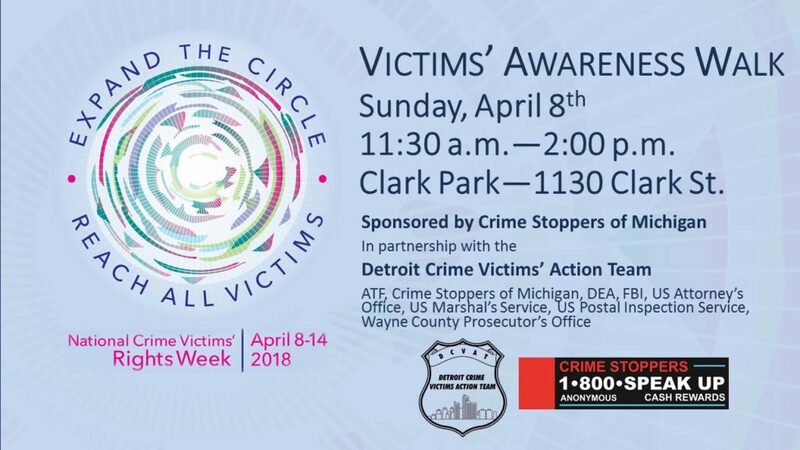 The event took place on Sunday, April 8, 2018 from 11:00 a.m. – 1:00 p.m. at Clark Park, located at Southwest Detroit at Clark Avenue and the I-75 Service Drive. 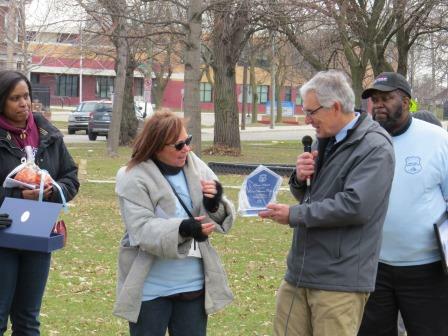 Highlights of this year’s event included success stories of arrests and prosecutions of perpetrators, and a “luminary” project that featured the artwork of students from the Amelia Earhart Elementary School depicting “What Peace Means to Me.” These “luminaries” were placed along the walking path for the walkers to observe and enjoy. 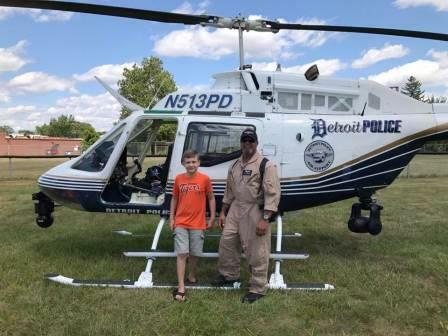 Two victims were in attendance and shared their individual story of survival. 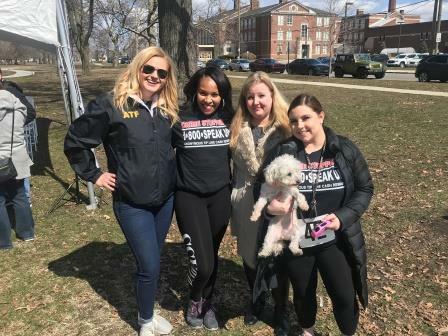 The Canine Advocacy Program received an Exemplary Crime Victim Service Award for the work they and their four legged counterparts provide to children who have fallen victim to crime. 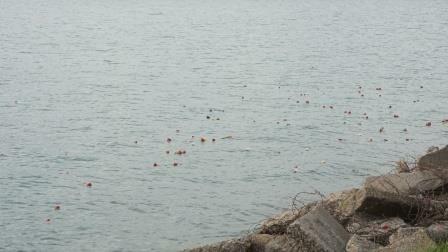 The event closed with a biodegradable/environmentally friendly balloon release in honor of Crime Victims. 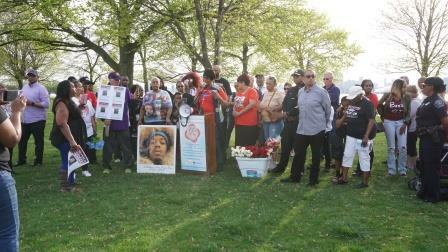 The feeling of being a victim of crime or losing someone is beyond words. 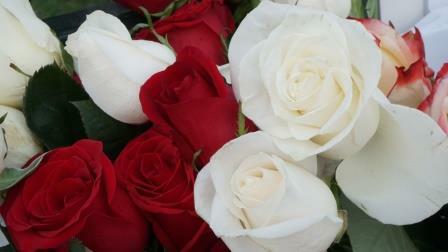 For the victims constant feelings of shock, numbness, denial, disbelief, and anger may chase them for life. Losing someone means there will be no more birthday parties, backyard gatherings, other family activities to share with them. The laughter, hugs, guidance, sense of security and those opportunities to say, “I love you” are forever gone. 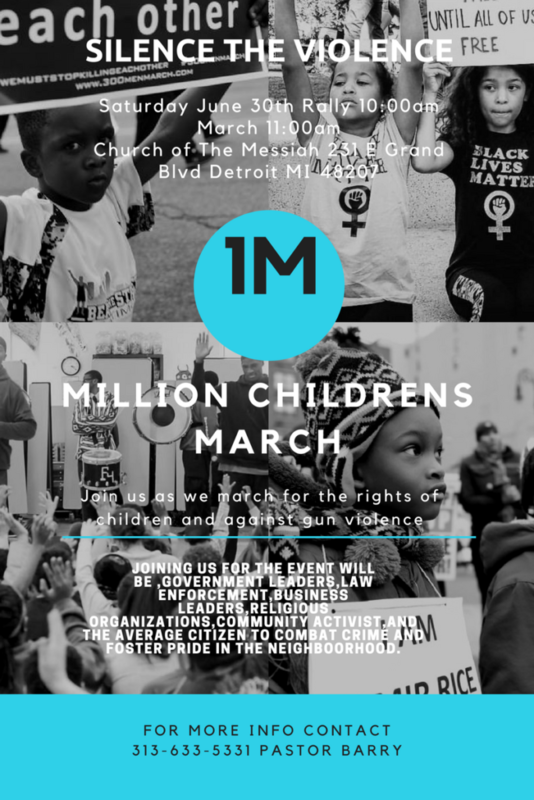 For children dealing with the death of a loved one as a result of a deliberate and often violent act committed by another human being, the pain of loss is intensified, making their grief often more complicated. 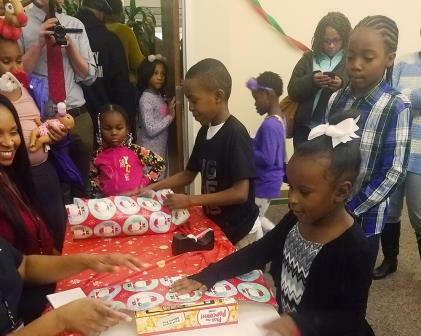 Holidays approaching represent great challenges for these families. Not only is dealing with the pain of not being with their love one, but also some families have financial difficulties after the “crime”. 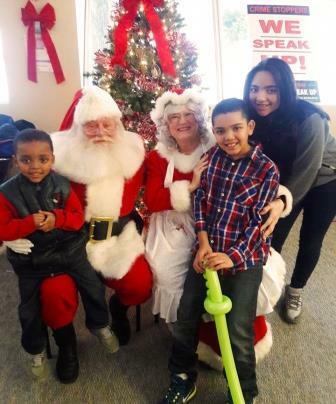 Through our Family Support Program, Crime Stoppers of Michigan is aware that these children have a very difficult time during this season. 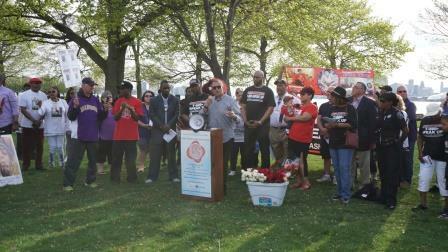 Their lives have been negatively and irreparably impacted by criminal acts that left a tremendous void in their lives. 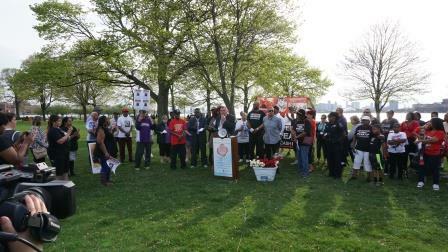 We need to give some thought to these children and let them know that someone cares – that someone remembers. 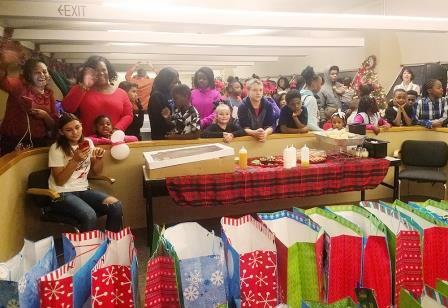 Instead of sadness, the room was filled with a day of joy, happiness and peace for these families. 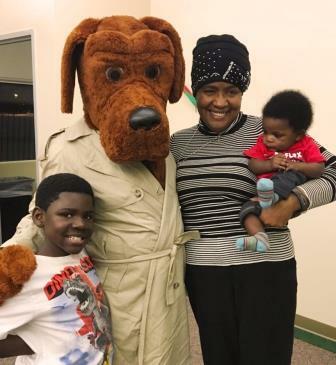 The event is held annually so we can continue to support and bring happiness to the children in our communities who have been affected by violence. 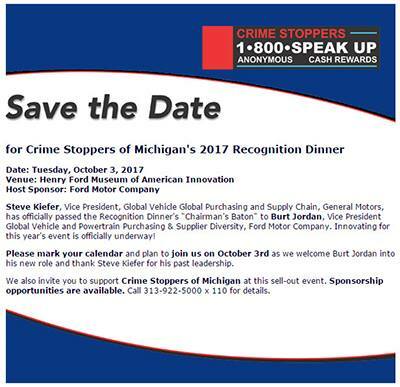 The Crime Stopper’s 13th Annual Recognition Dinner was held on October 3rd, 2017 at the Henry Ford Museum of American Innovation, and was hosted by Ford Motor Company. 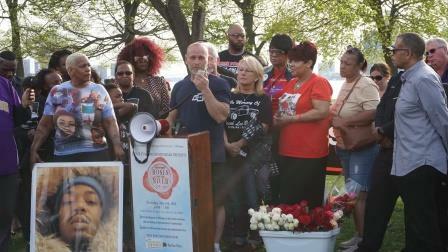 Thanks to 82 sponsors, $662, 500.00 was raised. 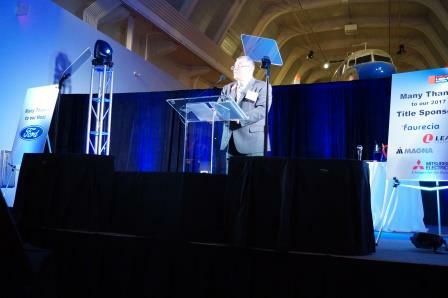 This special evening had 480 people in attendance, and was hugely successful. 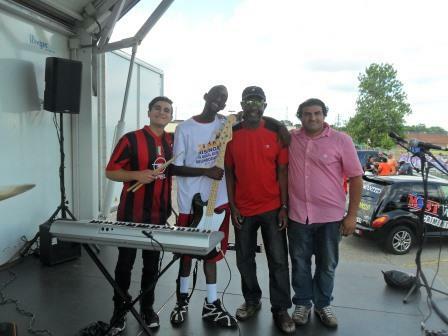 Thank you to all of those who made the event spectacular! 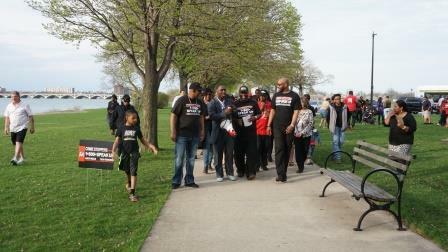 We greatly appreciate your support. 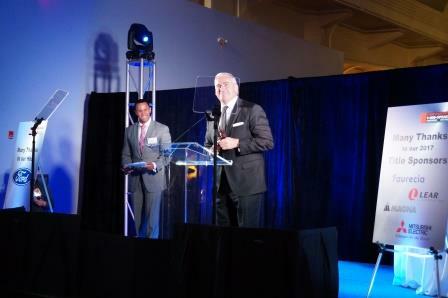 Burt Jordan, Vice President of Global Vehicle and Powertrain Purchasing & Supplier Diversity was the chairman of this year’s event. 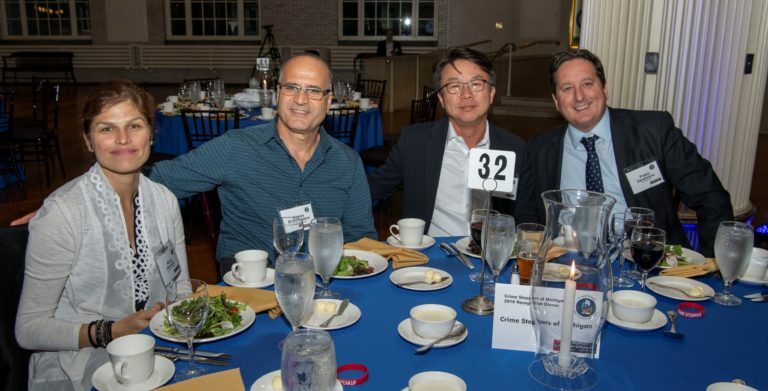 A VIP reception was held for Business, Presenting, Presenting Plus and Title sponsors. 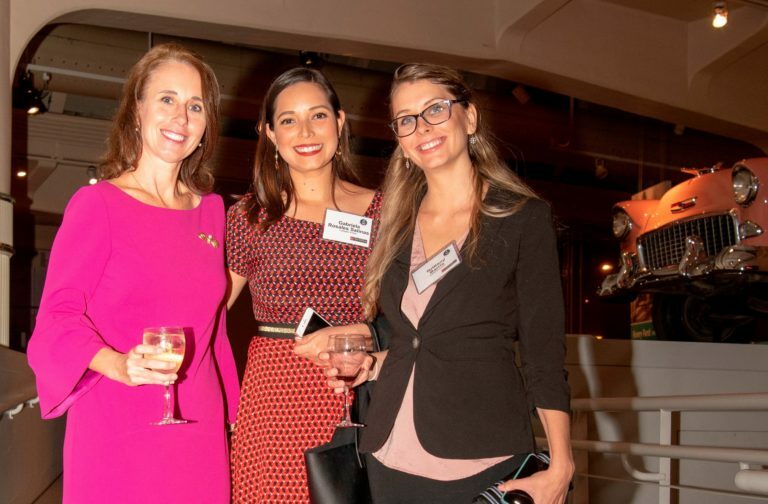 Attendees had the opportunity to network in the most aspiring setting and guests were encouraged to enjoy the opportunity for a more private viewing of the museum. 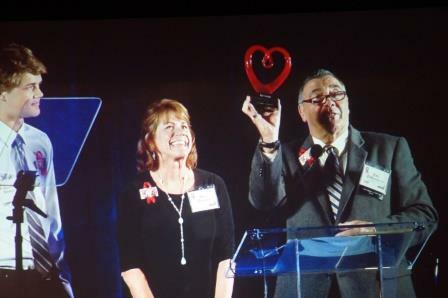 A special tribute was made to Ron Savage while his family was in attendance and his wife received a special award from Crime Stoppers of Michigan. 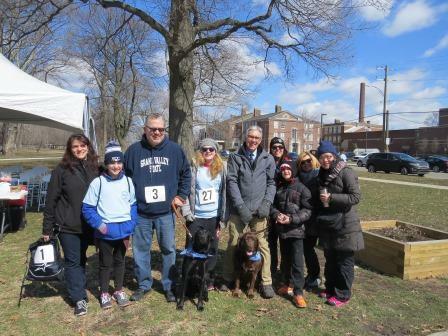 For many years, Ron was instrumental in giving a voice to victim’s families in hopes of solving their loved one’s cases to bring them justice. 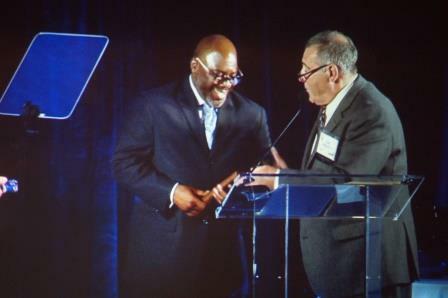 Powerful stories and first-hand accounts of Crime Stoppers effectiveness was shared with guests over dinner. 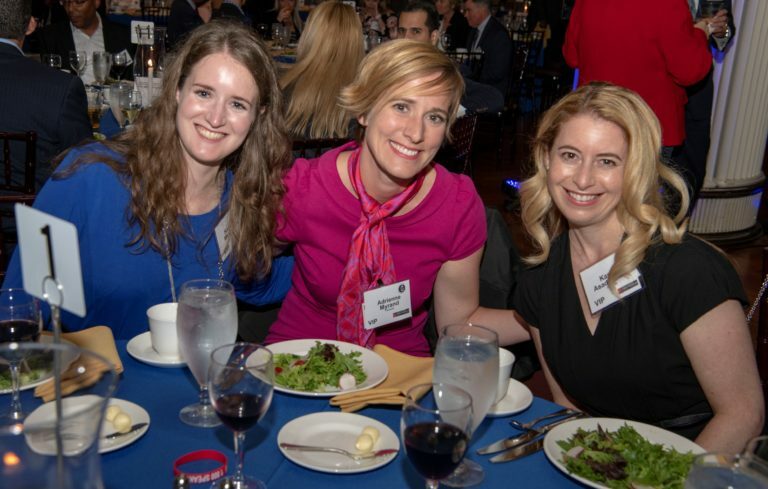 The moving testaments to the organization’s leadership in our community was a tremendous reminder of why people gather together each year in support of this worthy cause. 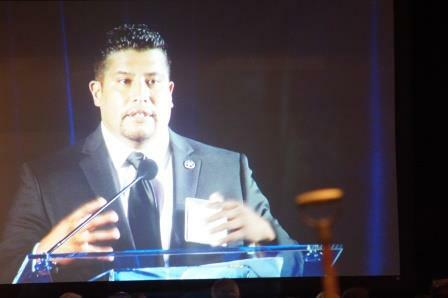 The majority of our funding is realized thru the proceeds of this annual dinner. 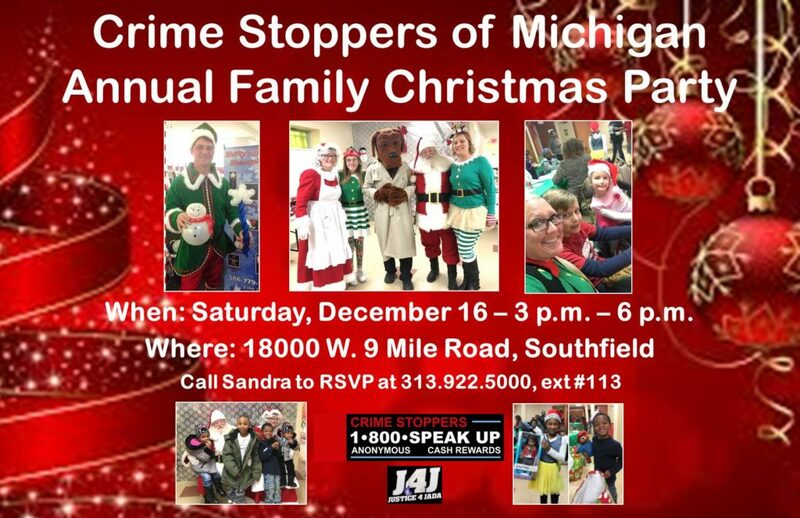 The success of this event determines in large part the support and help Crime Stoppers can provide to those affected by crime within the seven counties of Southeast Michigan that we serve. 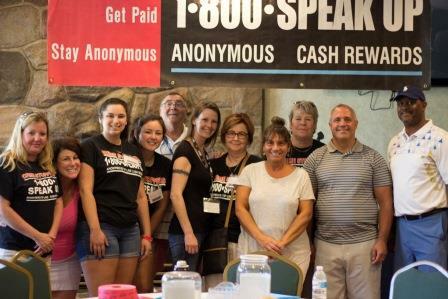 Annually, our organization processes over 5,000 anonymous calls and anonymous tips submitted online from nameless tipsters which assist police agencies within Southeast Michigan to solve crime in our neighborhoods and communities. 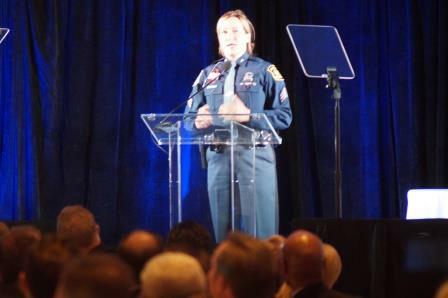 Because of the outstanding support that we received, we can continue to work with hundreds of families and over 200 law enforcement agencies, at the federal, state and local levels. For children dealing with the death of a loved one as a result of a deliberate and often violent act committed by another human being, the pain of loss is intensified, making their grief often more complicated. 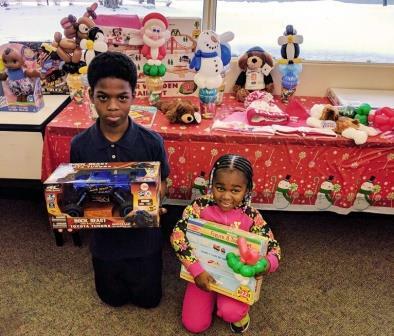 Holidays approaching represent great challenges for these families. 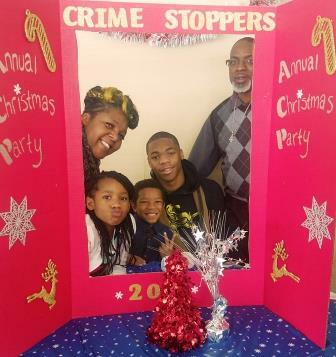 Not only are they dealing with the pain of not being with their loved one, but also some families have financial difficulties after the “crime”. 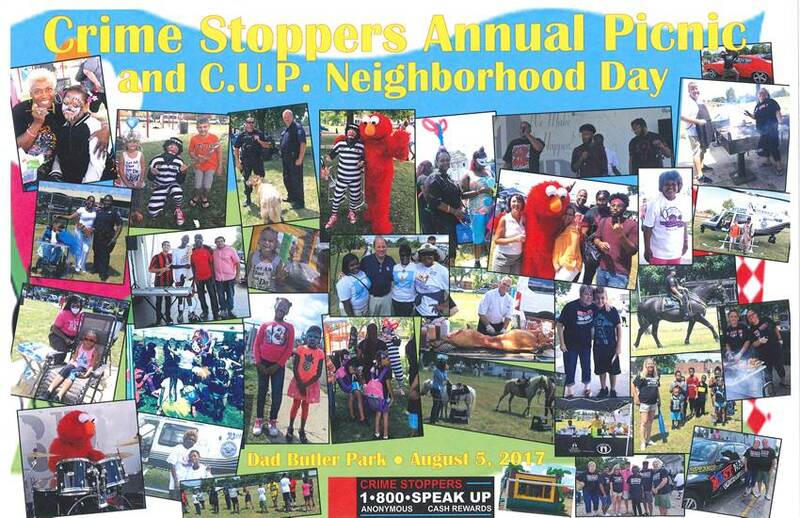 Crime Stoppers of Michigan held their annual Family Picnic on Saturday, August 5 for children and their families that have been victims of violence, have a loved one that is missing or have been a victim of a crime. 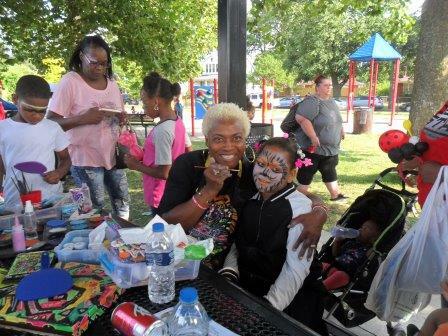 The Family picnic brought enjoyment and happiness to these families. 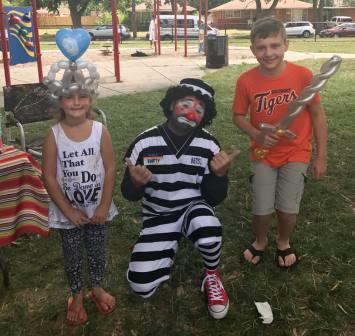 The party included a barbecue, entertainment, a petting zoo, games, community resource information and fun for the whole family. 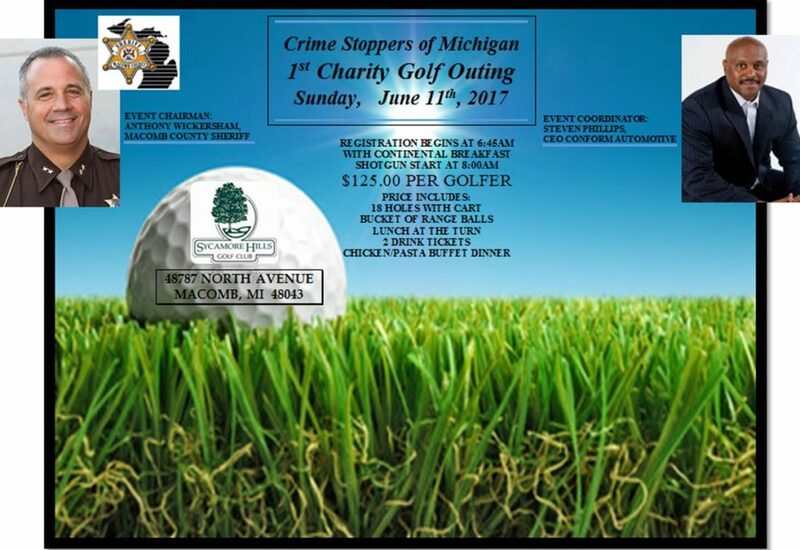 On Sunday June 11, 2017 we hosted our 1st Charity Golf Outing which was held at Sycamore Hills Golf Course in Macomb Michigan. 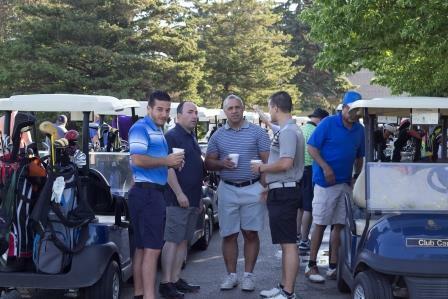 We had 216 players register for this outing which enabled us to utilize all three of the courses that Sycamore Hills has to offer. Thanks to the hole sponsorship’s we were able to place 101 signs around the various courses. 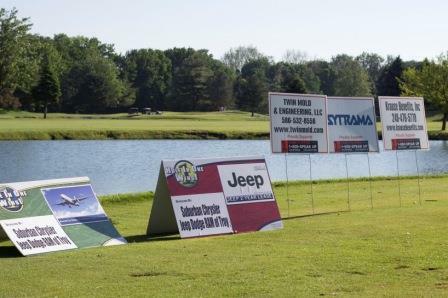 There were also 2 casino holes and a hole in one for a chance to win a 2 year lease of a 2017 Jeep courtesy of Suburban Chrysler Dodge Jeep Ram of Troy. 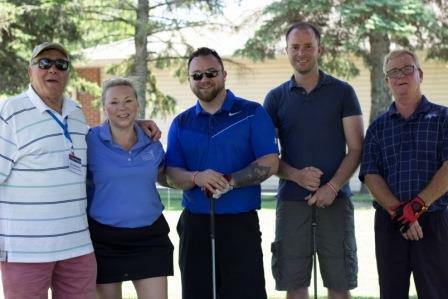 We awarded 1st, 2nd and 3rd place prizes as well as longest drive and closet to the pin for both men and women. 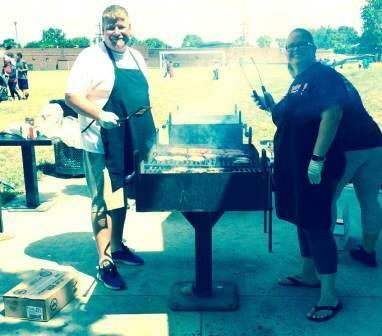 Our golfers were treated to a continental breakfast; lunch was served at the turn and a dinner buffet after wards. 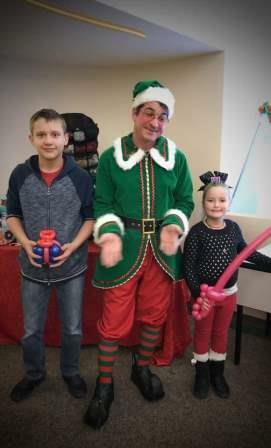 Raffle tickets were available to be purchased for a chance to win some really great prizes which were generously donated along with some silent auction items. In this being our first year we are very pleased in how it all worked out. Not only was it a beautiful day but many golfers were very pleased with how fast play went. 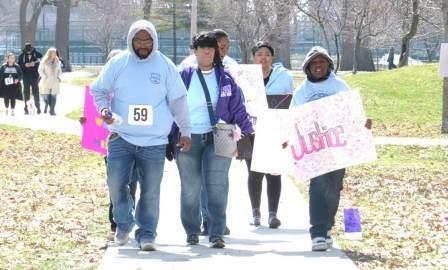 The money we made from this function goes directly to our programs which in turn helps all who ask for our help. 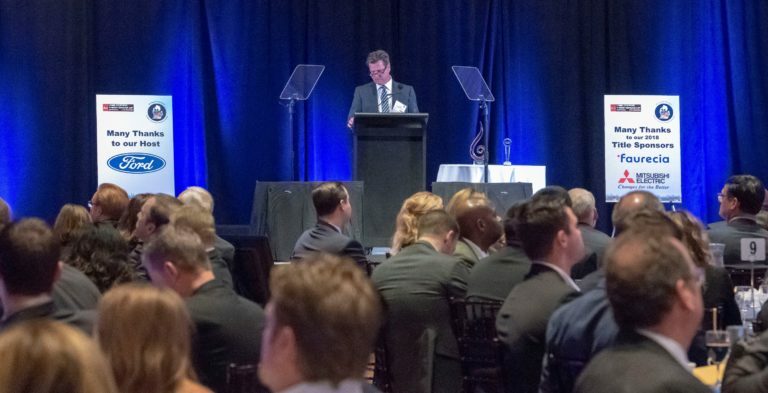 Thank You to all our players, sponsors, volunteers, family and friends, for helping us and believing in our mission: working together to build safer, stronger communities.